Easy to install and use Wordpress plugin with ability to create as many optin pages as you want. Mobile responsive - looks beautiful on smart phones, tablets and laptops. Incredibly easy to edit and publish your high converting landing page. Works with any theme and connects to any auto-responder service. Easy to customize and change layout. Be creative and add a video to the background! Simple to install and set-up Wordpress plugin. Create as many timeline optin pages you want. Highly proven conversion page templates included. Just enter your text and you're ready to rock & roll! Connects to any auto-responder service. Works with any WP theme. Flexible customization allowing for many design combinations. 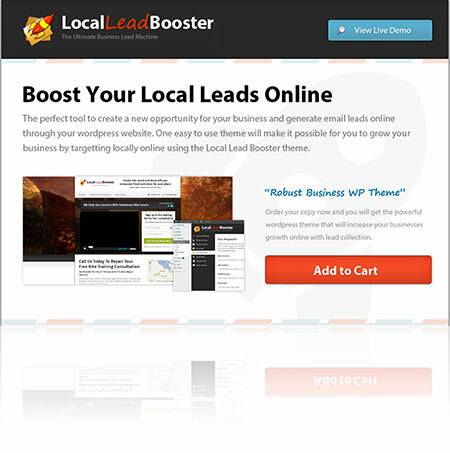 Powerful Wordpress theme focused towards generating local leads for any type of business. Integrates and works with any Autoresponder. Includes many professional design options. Easy to add your own video. Beautiful slide show capability included. Create music review pages that you can populate with your affiliate links i.e. Amazon, iTunes etc. Collects Email leads and works with any autoresponder service. Professional easy to customize design. Can also provide Groupon style deals which can be shared on social media and used to collect signup leads. Create awesome sales pages without the need for Photoshop! 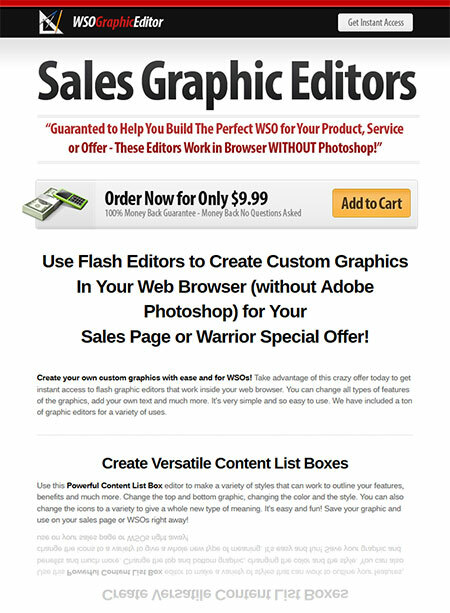 Create custom graphics and build professional sales pages within Wordpress with built in graphic editor. 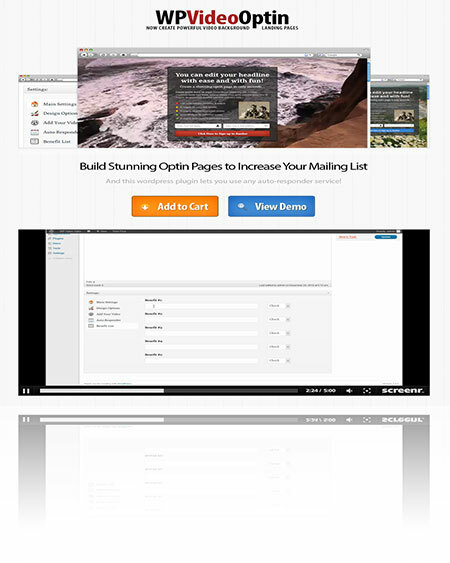 Create unlimited webinar pages on your websites. Easy to install WP plugin. Connects with any autoresponder service. In Browser Tab Icon Editor i.e. no need for Photoshop and add tab pages to FaceBook. Bypass timeline pages and send your fans directly to your website or offers. Easy to use plugin and works on any theme. Create stunning customizable slide optin forms and offers in minutes. Built in lead capture works with all autoresponders. Flexible implementation e.g. show on certain pages or globally. Show any content you want. It's not limited to lead capture. Easy to customize, change design and layout. Create unlimited speedlock pages in Wordpress. 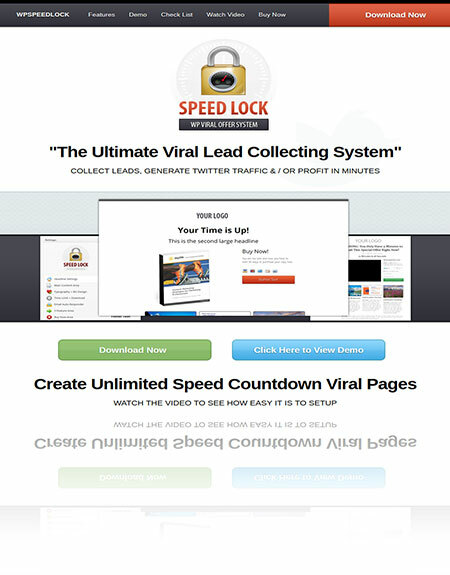 Generate Twitter traffic on viral auto-pilot. Collect new leads with any autoresponder service. Can force payment after time is up - cookied and locked e.g. "Warning: You only have 9 minutes to grab this special offer" - with count down clock. Proven to increase conversions with time limit clock. Easy to add video integration. Easy to edit and customize. Increase leads and conversions with the perfect countdown optin page for your next launch. Email lead opt in works on any autoresponder service. Easy to customize design and layout. Also add multiple column blocks. WP Viral page plugin provides a magical experience to your users with providing effects such as rain, snow, fire, fireworks and falling hearts. Stand out from the crowd at a moments notice with really awesome effects. Can add a slideshow background together with slider timer, fade time for an effective slideshow background. Each viral page is unique with full design control on your part. You can create an unlimited number of pages together with customization such as typography changes. Its really easy to add audios, images and videos. Works with any theme. Easy to install and setup within minutes. Create personalized 3-tier pricing pages that show of your packages, services such as bronze, silver and gold plans and more. Personalize settings and layout allows for cohesive integration to your website together with logo branding options. Professional design that impresses your web visitors and clients and is super easy to edit on the fly. 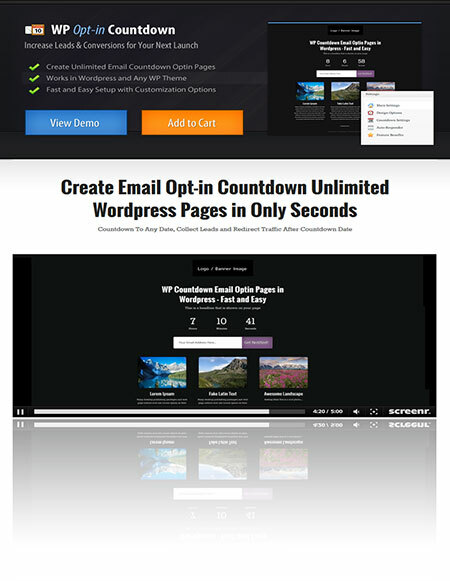 Wordpress Plugin - Easy to install and use within seconds and works with all themes. Complete control - Add videos, content, images and change design settings, pricing tables etc quickly and easily. Create awesome looking eye candy for your WSO sales pages and offers. Create graphics without the need for any other software. Create versatile content list boxes. Create high converting pricing tables. Quick and simple button creator. Developers license and use on unlimited domains. 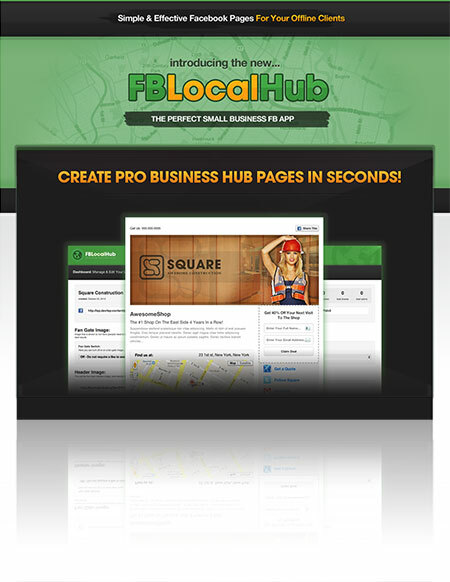 Create pro business hub pages in literally seconds. Create killer sales pages inside of FaceBook. Easy to install and use WP plugin. Can collect email leads and connect to any autoresponder service. Developer license and unlimited use. All in one service to create QR embedded advertisements on the fly. Combine mobile marketing with offline marketing. 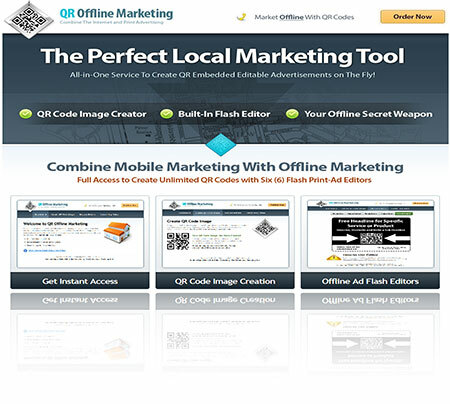 Easy to set QR code redirect to your offer pages or video. Tap into a growing industry with taking advantage of smart-phone growth. Extremely flexible and easy to use editor allowing for text, color, imagery modifications. Using the WP plugin will work on any theme. Yes Indeed Get Instant Access To The Above And More! Having the Right Tools is Essential to Success. All businesses whether it be online or offline all need tools to help push it to grow and accomplish bigger things. The correct tools allows you to save time, effort and money, whilst improving the way you do business and the way others see and connect with you. ​With CB Clicksale you get an all-in-one solution, not only do you get awesome cutting edge capabilities which puts you ahead of the competition through the various types of campaigns, our themes, plugins and scripts pay for itself many times over. It allows you to develop beautiful landing pages which converts visitors into customers. Why operate your business with a piece-mealed approach? Use CB Clicksale today and see for yourself how it will dramatically increase your online earnings, expand your business, whilst at the same time reducing your operating costs. Join Today & Let's Get Started! No Contracts, Pay As You Go! Click the button above and get access to all of our unique capabilities for lead generation, affiliate marketing and direct sales plus our massive catalog of unbranded digital products, themes, plugins & scripts and more! "CB Clicksale has one simple aim and that is to make you tons of money! Your ROI guaranteed or your money back..."